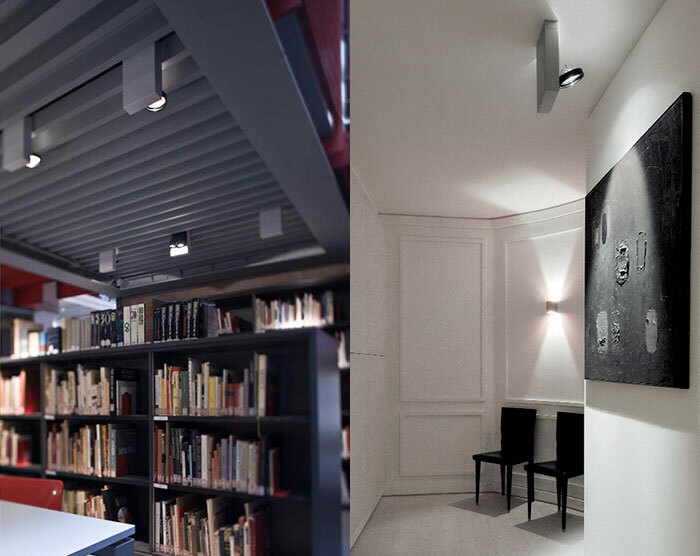 light fixture for interiors IP20 in white, grey or black coated metal. dimensions profile: available in G53 75W halogen lamps, led AR111 or adjustable GX8,5 70W metal halide lamps. 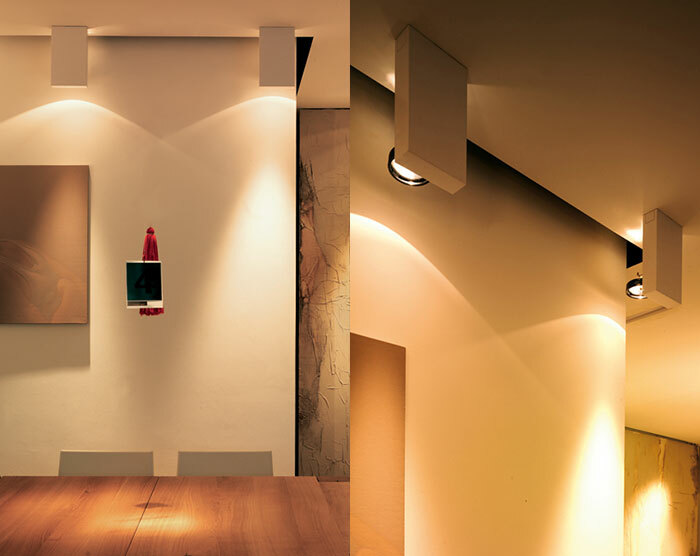 can be fitted to walls or ceilings by means of a special bracket or on tracks using the adapter at disposal. halogen lamps can be dimmed individually.